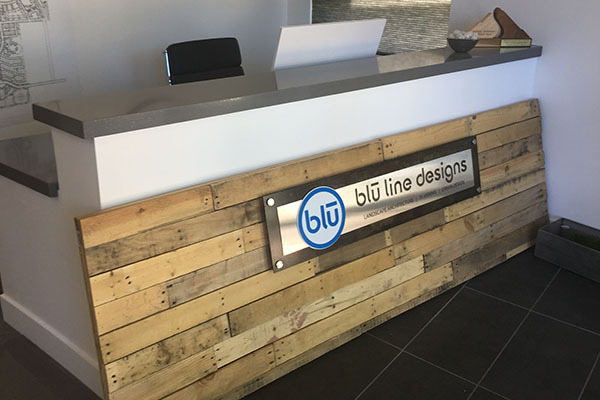 Our designers at Smith Steelworks create personalized laser cut office signs. 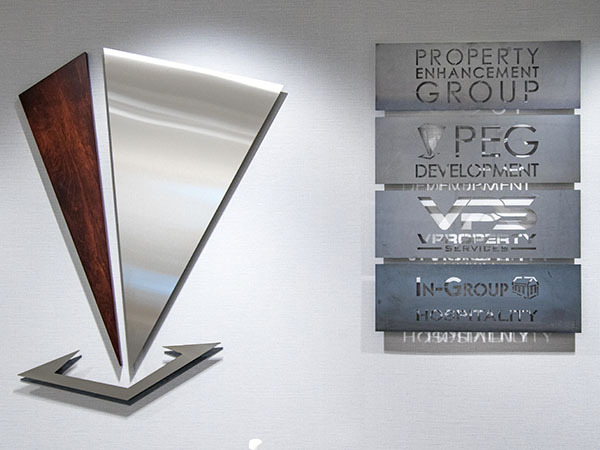 These signs are created to match the feel and style of your office, while allowing for logo integration options. Each sign is available with one-layer or multi-layer metal pieces, different color options, stand-off or recessive options, and so much more. 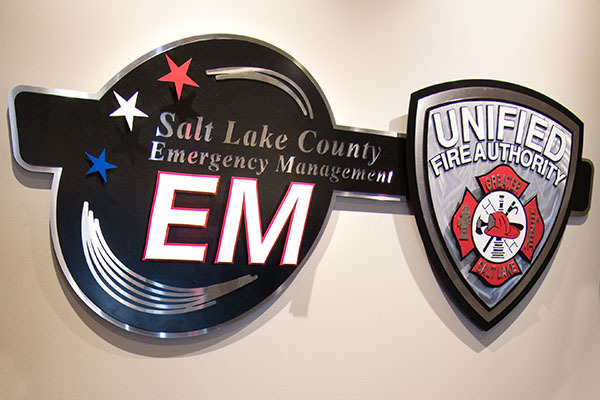 To get started on your office sign project, click the link below or call (801) 414-1724. To get started with your sign, email us your design ideas. This could include your logo, examples on the web, images, etc. 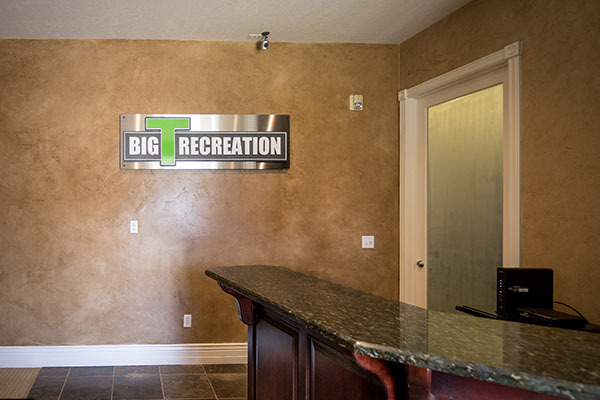 For the office sign above, the client was very specific with the dimensions they were looking for, as well as the use of cherry wood on part of the logo. After we have received all of your sign ideas, we get to work creating a realistic proof of how the finished metal sign will look. The proof will then be emailed to you for approval. At this point, you will have a chance to have any changes made to the sign before laser cutting. The metal is then sent to be laser cut. After the sign has been cut, it is then powder coated, rusted, or left with a stainless finish. The office signage is then put together. Lastly, it is packaged up and mailed directly to you; ready to be installed at your business. As a business owner, we understand how it important it is to incorporate your business logo into your signs, site furniture, etc. This is why our designers take time to turn your logo into a file that is ready to be laser cut. Each office sign is designed to last for years and years without showing sign of age. 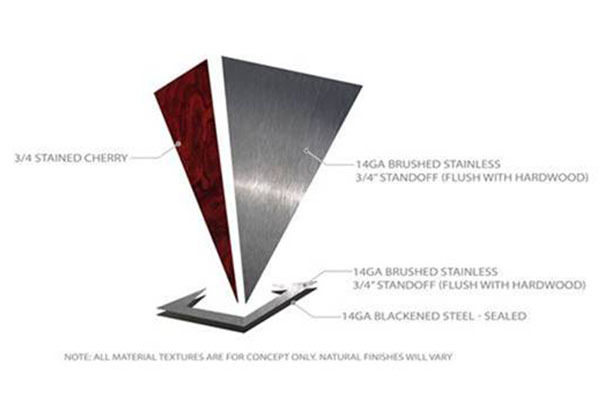 This includes: high grade steel, durable finishes, and a variety of installation options. 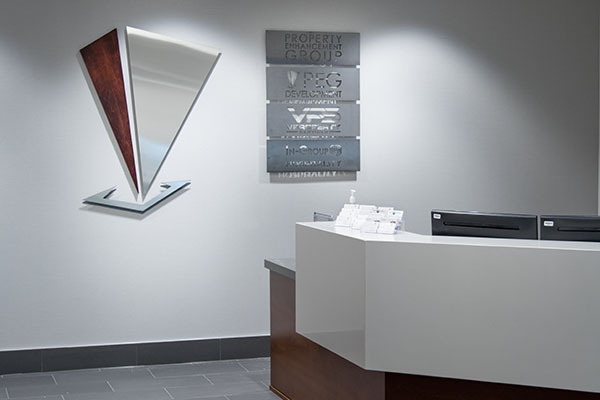 Our designers are capable of taking your brand logo and turning it into a metal office sign. 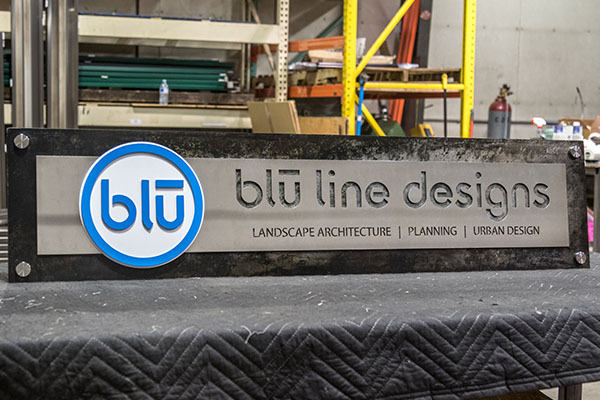 To bring the stainless steel sign to life, layer it with bright a bright powder coating color. 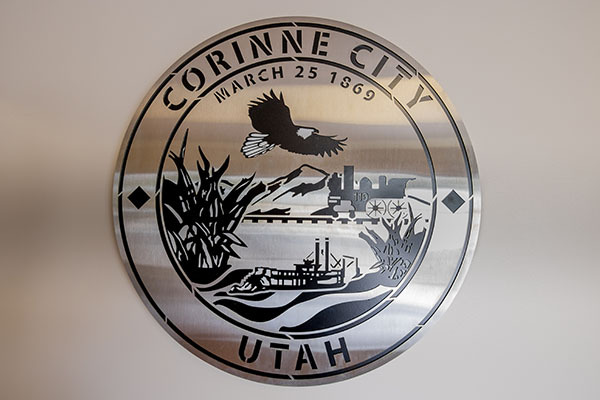 Turn your city seal into a laser cut metal city sign. Display it proudly in city office buildings, schools, and more. When ordering, you have full control over colors and metal types to compliment your space..
Layer powder coated metal letters on top of the stainless steel sign. This creates a unique, bright design. Let your customers know they are in the right location with a desk front sign. Choose from our color options here. 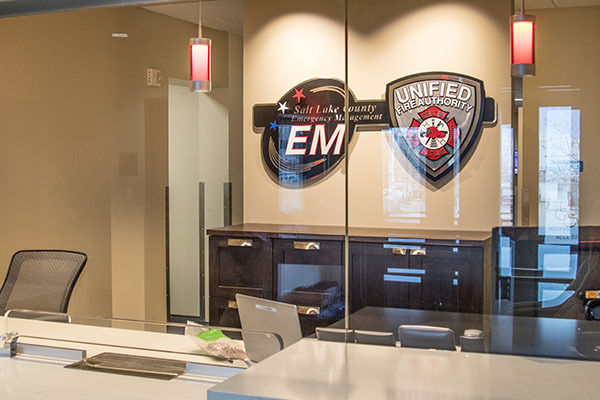 The fiber optic laser allows for a full variety of custom shapes to match the feel of your office space. 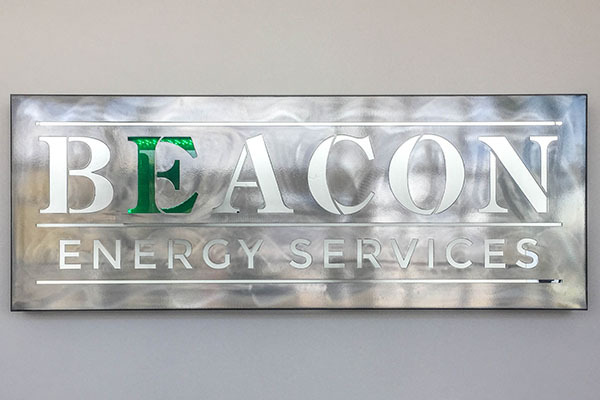 The Beacon Energy Services Sign was created with a stainless steel finish and a green light under the ‘E’.